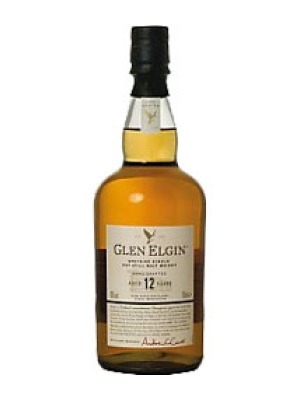 Glen Elgin 12 Year Old is a popular Whisky available from Amazon.co.uk in 70cl to buy online. Visit Amazon.co.uk for the best price for 70cl of Glen Elgin 12 Year Old or compare prices on our other Whisky products. Tangerine fruitiness is the hand-crafted Glen Elgin's 'signature', born of long and precise fermentation. An easily accessible single malt with Speyside fruit and sweetness. Appearance: Full gold. Nose: Sweet. Almonds, or maybe marzipan? Some orange juice. Perhaps a trace of sawn wood. With water, Speyside esters, nut oil and buttery fat, prawn crackers, traces of fresh pears; a whiff of smoke or steam; dense. Body: Smooth, medium. Palate: Pleasant mouthfeel; sweetish, then dryish, with some acidity between; all well balanced. Finish: Dryish, balanced finish . Where to buy Glen Elgin 12 Year Old ? Glen Elgin 12 Year Old Supermarkets & Stockists. You can buy Glen Elgin 12 Year Old online in most retailers and find it in the Whisky aisle in supermarkets but we found the best deals online for Glen Elgin 12 Year Old in Amazon.co.uk, TheDrinkShop, and others. Compare the current price of Glen Elgin 12 Year Old in 70cl size in the table of offers below. Simply click on the button to order Glen Elgin 12 Year Old online now.